It's business as usual while we refurbish our Banstead Office. All our team are available on the usual telephone numbers or by email. Our newly-fitted Banstead Office will re-open on Wednesday 24 April, just after Easter. as well as extensive and useful information on the areas we cover. “ Thank you to you and your team for a job well done. You all behaved in an exemplary way, a cracking example of customer service. “ I wanted to thank you and your excellent team for handling our sale in such a clean and professional way. You are a stand-out agent in the area. “ I just wanted to thank you and the rest of your splendid team for all the help I received when selling my home. “ We’re delighted with the way in which you've dealt with the letting of this flat for us. We've used other agents before, and you've provided a more courteous and professional service than any of them. Thank you. 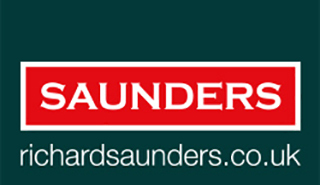 “ Through the sale of my mother's property, Saunders' care & professionalism was faultless. They kept me cheerfully informed and got the price. “ A quick note to say a very big thank you for all you efforts at making this transaction a success. It took a lot of patience, and we really appreciate your good service. We love our area! High on the Surrey Downs, this area consists of several villages, each with their own distinct identity and all encompassed by beautiful open countryside. The bustling towns of Sutton, Epsom and Reigate are nearby.